You have to put yourself in my shoes. Boots, really, with thick rubber soles to keep out the cold and to keep a foothold on the ice. Boots that worked hard and worked fast, striding between commuters in a winter-worn Budapest. Five feet, six inches above them, a troubled mind tangled through what it had just seen. I had just left Budapest’s House of Terror as part of my Iron Route journey. It was first the Nazi and then the Communist Secret Service headquarters – and it left me thinking. It also left me running to catch my next appointment: a tour of the Budapest Parliament Buildings, rumoured to be the most beautiful of their kind in the world. After the Nazi and Soviet prisons, I’d have been impressed by a tin shack and a bucket of rotten eels as long as they’d enabled a healthy democracy. But Budapest was about to take it one or two steps further. Or, more accurately, three or four steps further, down the corridor, across the road and into a Ferrari that’s speeding along towards wowville. 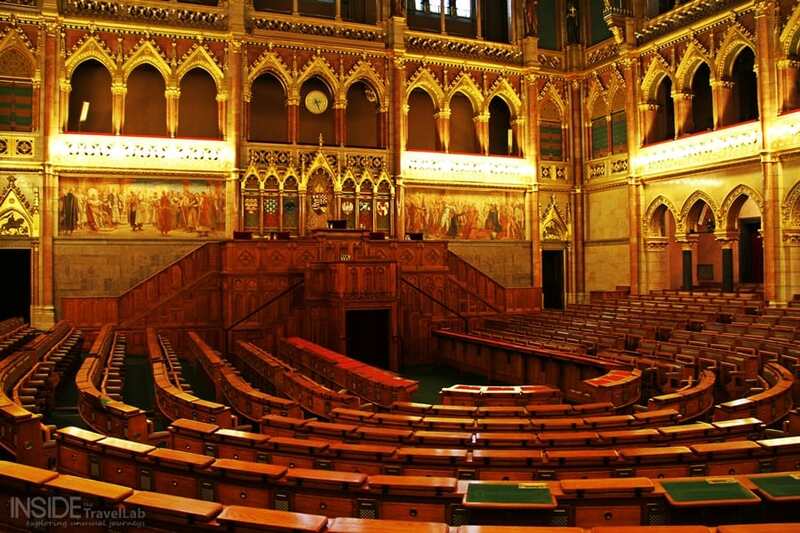 Both inside and out, the opulence, elegance and extravagance of Hungary’s government buildings are difficult to overstate. 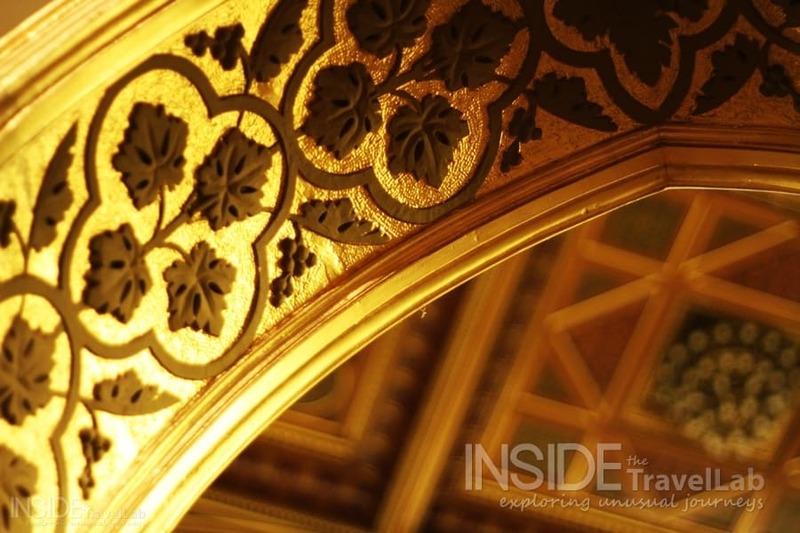 Gilded leaves, midnight blue, high vaults, ornate ceilings, an intricate gothic exterior modelled on London’s Houses of Parliament and even some polished brass holders for ministers’ cigars. Just like that last sentence, it’s a lot to take in. It’s a comforting whisper, for all its treacherous simplicity. The Soviet-style buildings from the post-war years often have sculptures of “ordinary people” who stand guard above government buildings to remind the politicians who passed below just who was supposed to be working for whom. Or at least that was the idea. Related: What to do in Sofia? After the Nazi and Soviet prisons, I’d have been impressed by a tin shack and a bucket of rotten eels. 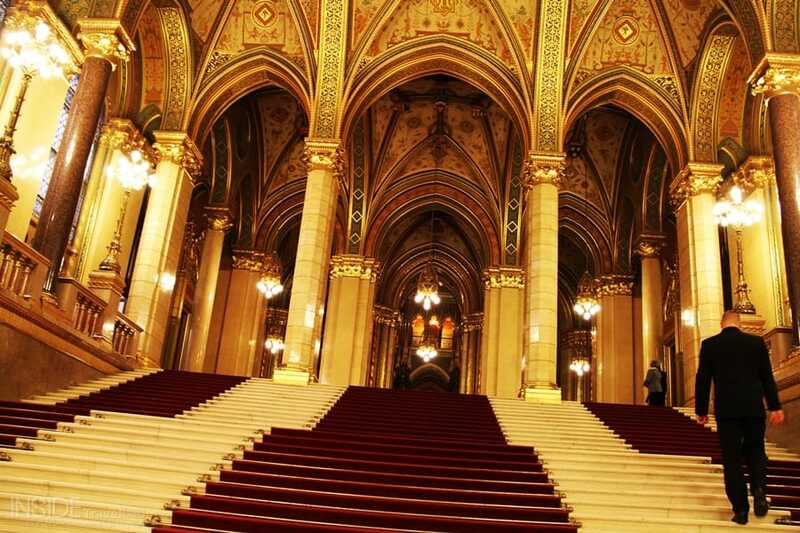 Back here in Budapest, the parliament doesn’t bother with “ordinary people.” Instead, it opts for gold and pearls and brandishes Hungary’s crown jewels at the summit of a sumptuous velveteen staircase. The corridors are lined with hushed queues of people – all mesmerised into a stupor of admiration. In reality, of course, the buildings themselves have nothing to do with the freedom of the people. Or even democracy. 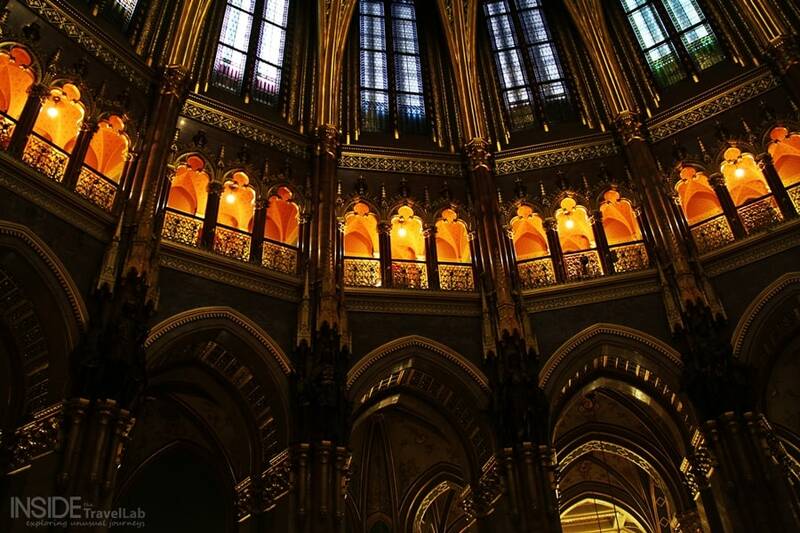 Budapest’s Parliament Buildings were completed in 1904, so they’ve seen it all: the Habsburgs, the Nazis, the Soviets and more. And even democracy itself is no guarantee of freedom. Hitler, after all, was democratically elected, a fact one of my schoolteachers was prone to repeat. It seems too obvious to stand among these paintings, these stories, these histories and these ceilings and to finish by saying that it is people who give freedom to the people, not the buildings nor the systems that use their names. But as I said at the beginning, you have to put yourself in my shoes. Those boots had covered a century in only a single day,. And there’s only so much insulation they could provide. 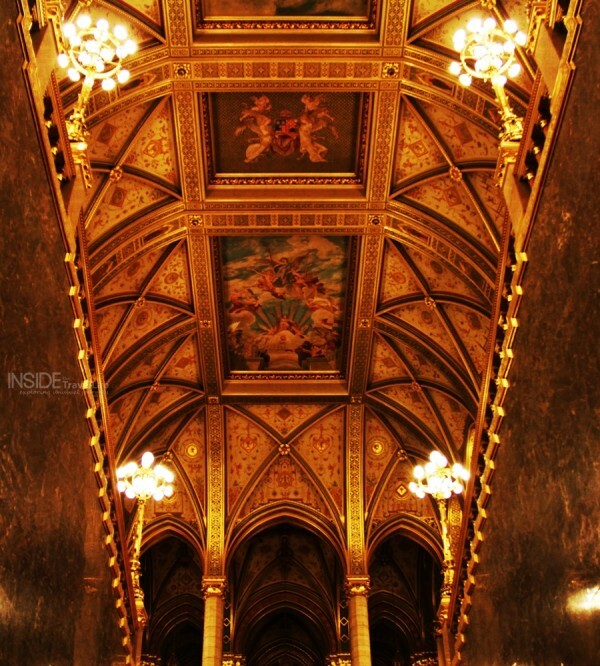 Budapest’s Parliamentary Buildings are beautiful and worth the queue the day before to get a ticket. Disclosure: I visited Hungary as part of my Iron Route project, in partnership with InterRail, and I received complimentary entry into the Parliament Buildings thanks to Hungary Tourism. This is especially ironic now, because Hungary is becoming the most non-democratic country in Europe…. quickly. The right wing government there has recently altered the Constitution, kicked out hundreds of judges from their jobs, and done a variety of things that are so bad that the EU is investigating whether their current form of “democracy” is even compatible with being in the EU. But it is a damn impressive building. Hopefully occupied by people that aren’t trying to use the Nazi form of “democratic totalitarianism” as its model of governing. Yes, the recent events in Hungary have been very depressing to watch and read about. It will be extremely interesting to see what happens in response to EU intervention. Let’s hope that a year from now we can look back at this post and feel relieved that things changed for the better. Here’s hoping! We wil be in Budapest in September, the final stop on our river crusie down the Danube. These pictures have inspired me. Thanks! You’re very welcome – you’ll get the best views of the city from the river as well. Some beautiful photos! Good post and you are right, there really is a big contrast between the parliament and what you see in the terror museum. Are you still in Budapest? Traveldudes has a great post on other great activities to do during winter time!